Hathras is a city of Uttar Pradesh. It is a Municipal Board and Administrative Headquarters of Hathras District. The town is a part of Aligarh Division. AkhileshYadav, former CM of UP was renamed Mahamaya Nagar as Hathras. It's also known very well as “Braj Ki Dehri”. The city has a rich cultural heritage associated with the epic Mahabharata and Hindu theology. The literacy rate of the city is 71.59 % and has many reputed and high Standards Engineering and Management Colleges, Polytechnics, Schools, Study Centers such as Mass College of Engineering and Management, Saraswati Degree College, M.G. Polytechnic, D.I.E.T. 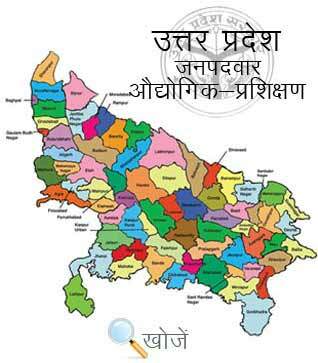 Hathras etc. To fulfill the growing demand of technically skilled people, the Government of India has opened various Industrial Training Institutes and Industrial Training centers to impart technical skills to the students. They constituted under Directorate General of Employment and Training (DGET) Ministry of Skill Development and Entrepreneurship. At present, the state has one Government Industrial Training Institutes (ITI’s) and 40 Private Industrial Training Institutes (ITI) that offers various technical courses to the students. In the state of Uttar Pradesh, Vyavasayik Pareeksha Parishad (www.vppup.in) is responsible for conducting the entrance examination for admission to various trade courses in ITI’s. Students can also visit online education portal www.upiti.in to get information about important notifications, downloading application forms, results, admit cards etc.